We serve by appointment only for everyone’s privacy. 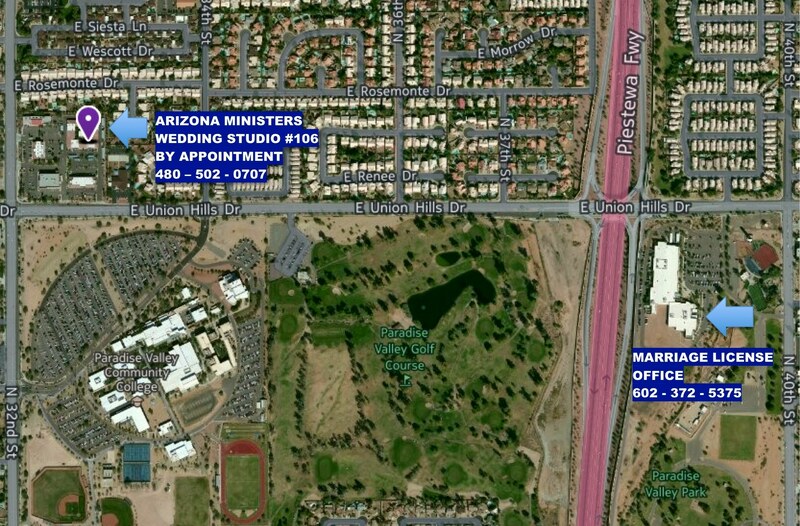 HELPFUL TIP: The Marriage License Office is located three traffic lights east of our office. Schedule an appointment to meet us during the day and pick up your marriage license on the same trip! EMAIL US Be sure to include your wedding date, ceremony start time and exact location so we can quickly determine availability. Email can be inconsistent, so always feel free to call us! 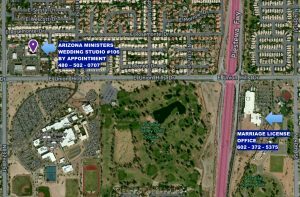 480-502-0707 (8:00 a.m. – 6:00 p.m.). 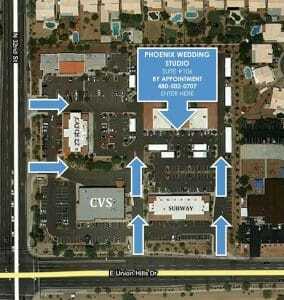 Our Phoenix Wedding Studio is located on the Northeast corner of 32nd Street and Union Hills Drive, just west of SR 51. 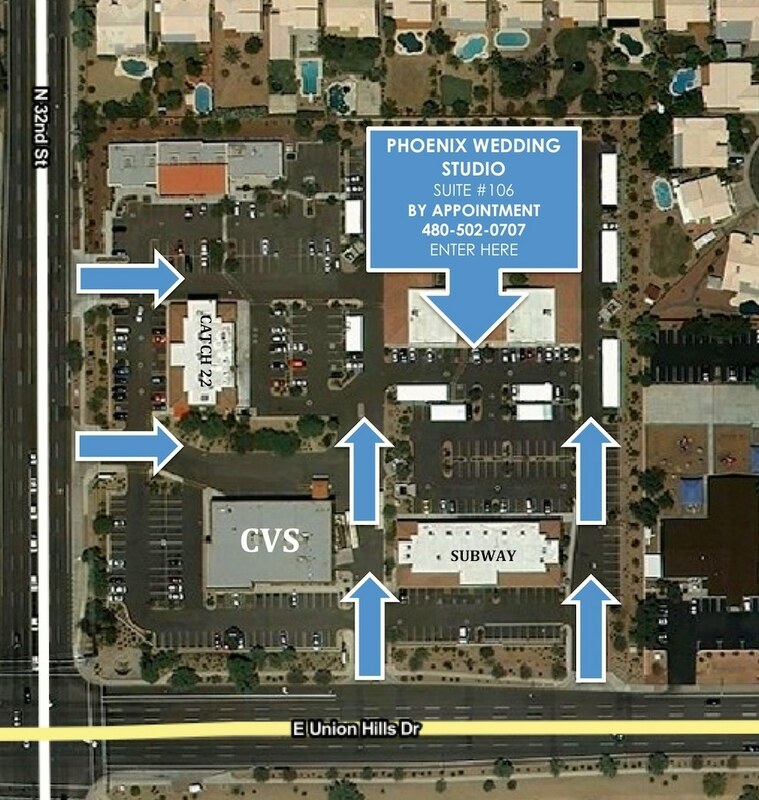 We’re located on the south side of the one-story office building directly behind Subway. The arrow with Suite 106 is pointing at our door. The studio can be tricky to find as the suite numbers are not consecutive. Before you come visit us, take a moment and familiarize yourself with the aerial photo (you may click it to enlarge it). We promise this will save some time finding us.